What secrets lie behind the doors at Misselthwaite manor? Recently arrived at her uncle's estate, orphaned mary Lennox is spoiled, sickly, and certain she won't enjoy living there. Then she discovers the arched doorway into an overgrown garden, shut up since the death of her aunt ten years earlier. Mary soon begins transforming it into a thing of beauty--unaware that she is changing too.But Missalthwaite hides another secret, as Mary discovers one night. High in a dark room, away from the rest of the house, lies her young cousin Colin, who believes he is an incurable invalid, destined to die young. His tantrums are so frightful, no one can reason with him. 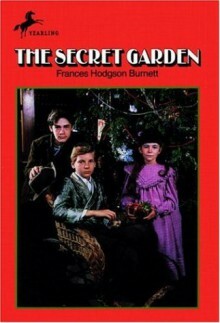 If only, Mary hopes, she can get Colin to love the secret garden as much as she does, its magic wil work wonders on him.